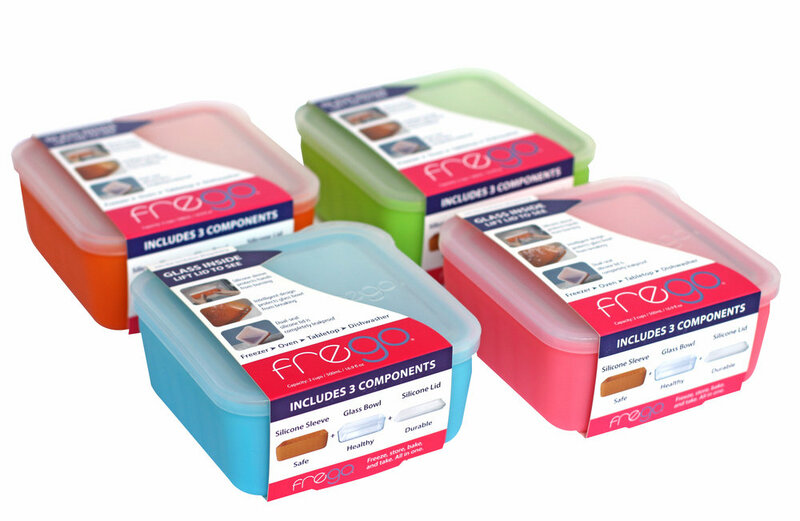 Frego is your all-in-one kitchen solution for cooking, storing, heating and transporting food. Change the way you prepare, cook, and store food for your family. A revolution in kitchen solutions. Seamless transfer from Freezer - Refrigerator - Oven - Tabletop - Dishwasher. And most importantly - safe for your family and our planet. Frego is a small, woman-owned business. Brought to life by a Minnesota mother-of-two who was tired of using harmful, wasteful, and disposable plastic in her kitchen. Our storage containers come in two sizes and four colors. Free shipping on orders over $60. Tired of using toxic & wasteful plastics in your home? Keep in touch on social media. Get healthy recipes & kitchen tips sent to your inbox once a month. Sign up with your email address to receive news and updates once a quarter! Proud partner of The Lunchbox Fund. We donate 1% of our proceeds to their charitable causes.